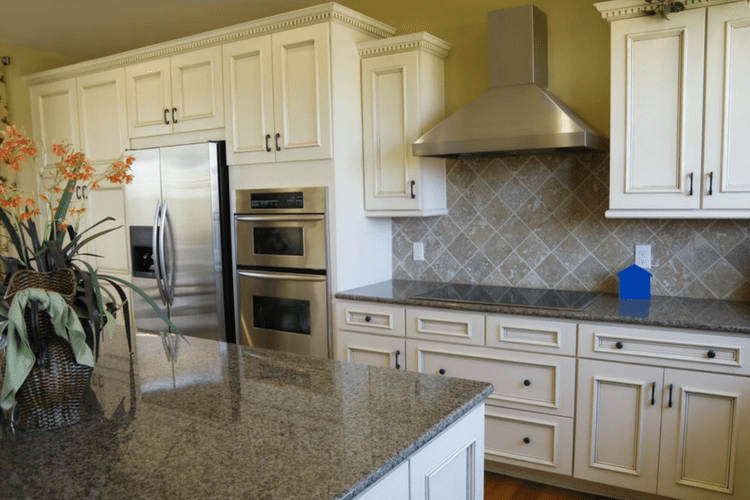 How to Polish Granite Countertops By Hand | Gold Eagle Co. When guests enter your kitchen, they probably compliment you on your granite countertops, as well they should. 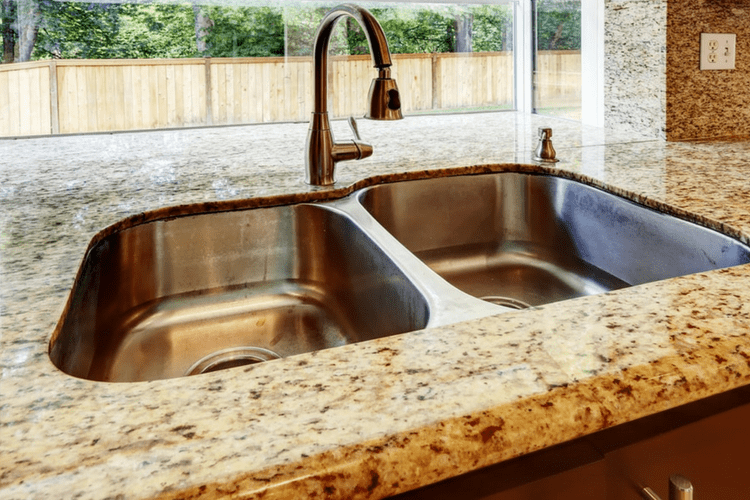 Your granite counters are beautiful, durable, and expensive, but like most countertops, they can show some wear and tear. Having them installed was a significant investment, so seeing them dull and scratched can be discouraging. Fortunately, you don’t need to call a professional team to revitalize your granite. If you follow a few simple cleaning and polishing steps, your countertops can look as stunning as they did when they were brand-new. Obviously you try and keep your counters clean at all times, but before you begin polishing your granite countertops, you need to make certain that any sticky film or stubborn crumbs have been cleared out. Use a granite cleaner and a soft sponge or cloth to clean the surface. Then take a dry, soft cloth and thoroughly dry the countertops. Don’t hurry through this step, or you will find that the polish application does not work as well as it should. Experts also note that the dullness of your granite may simply be from soap buildup. If you believe that may be the case, try a soap film remover or a combination soap film and mineral buildup remover. If that step doesn’t restore the shine, you need to give the surfaces a good polish. You can find a number of effective types of granite polish at a home improvement or big box store. remember, if you buy a polish, it must be granite-safe. If you use a general polish that contains too much acid, you can permanently damage your countertops. In fact, any polish or cleaner that contains lemon, vinegar, lime, ammonia, or bleach can harm the granite sealant and lead to stains and other signs of damage. Granite polishes come in both wet and dry varieties. Both types have their proponents. A dry powder will save you money and can be used wet if you wish–just add water. Experts note, though, that polishing pads may work better with the wet variety. On the other hand, dry powder may be more successful at removing superficial scratches. Only through time and trial and error will you discover which type of polish works best for you. If you purchase a polish or polish mix, such as Stone Pro Pro Shine, follow the manufacturer’s directions for application and buffing. Be aware that each product varies slightly. Some products may need to be left on overnight in order to remove tough stains. You can safely make your own granite polish using ingredients you may already have at home. Many DIY websites offer recipes for these polishes, but before you use one, make sure it isn’t too acidic for your granite. Mix these two ingredients together and then apply the solution to your countertops using a soft cloth. Use another fresh cloth to “buff” the counters. When that is done, use a damp cloth and warm water to remove any polish that remains. If you want to move things along more quickly, you can adopt the professional method and use a power polisher. Investing in this tool means you will use less elbow grease–an important consideration, especially if you are going to live with the granite for many years. Strenuous buffing can more become difficult as you age. Using a power polisher comes with some risks, particularly if you aren’t adept with these devices. Too much pressure can mar the surface of your granite or at least damage the sealer. Consult with a professional before you attempt to power polish on your own. If you clean and polish your granite countertops and they remain dull and scratched, you may need to apply a fresh layer of sealant. The original finish usually lasts around 3-5 years, with some hanging on for ten years. The sealer is not permanent, however, so dull granite counters may need more help than a nice polish can give them. If you are uncertain about granite care, consult with the professionals who installed your counters. Your granite countertops should retain their beauty for decades as long as you give them proper care. In addition to daily wipe-downs after meal preparation, you need to thoroughly clean them regularly and polish them when they start to lose their shine. Granite polish is not expensive, particularly when you make your own. Just be certain not to apply acidic substances to your counters and use soft cloths or recommended polishing pads when you tackle this chore. If you feel proficient with power tools, using an electric polisher will make quick work of this task. If cleaning and polishing do not work, you may need to reapply sealant to the countertops. This job requires more effort, but you can use a DIY method to reapply as well–just be sure to carefully follow the recommended steps. Polishing your Marble should fix your problem. In this blog post, How to Make Granite Shine, there is a section on how to fix light etching. Even though the blog post is focused on Granite it will work for Marble as well. Hope that helps! Thanks for the tips on how to make my own polish too. I’m definitely planning on doing that. The polish in the stores are so expensive. What’s the name of a good p what’s the name of a good pun plush?? ?